With the 2017 South Australian State Cup fast approaching (November 4 & 5), things are starting to rev up at the Glenburnie Raceway complex in preparation for the two-day black-plate event. Supplementary regulations are now available and entries are open! The Mount Gambier track will be open for setup from around 8am on Friday November 3, with practice available from midday. 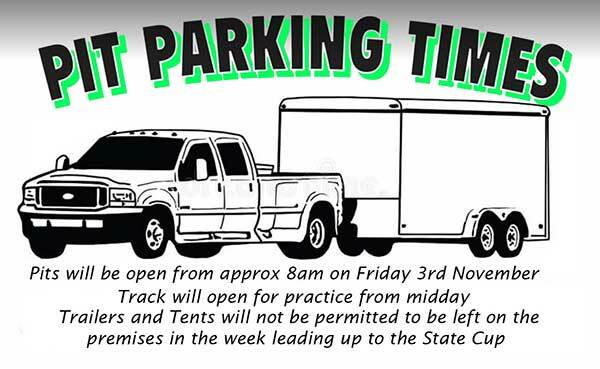 Camping is available at the track, and caravans and tents will be directed to the area behind the clubrooms for setup. Camping inquiries should be made via the MGKC Facebook page. The track will be open for practice this Saturday, however it should be noted that patience will be required as club members will be working to prepare the facility for the State Cup meet. Entries close 9:00pm SA time this Sunday October 29. Late entries (plus surcharge) will be accepted up to 10am on the Saturday morning.